In February 1919, a public meeting was held to decide on what to do to preserve the memory of those who had served in the Great War. 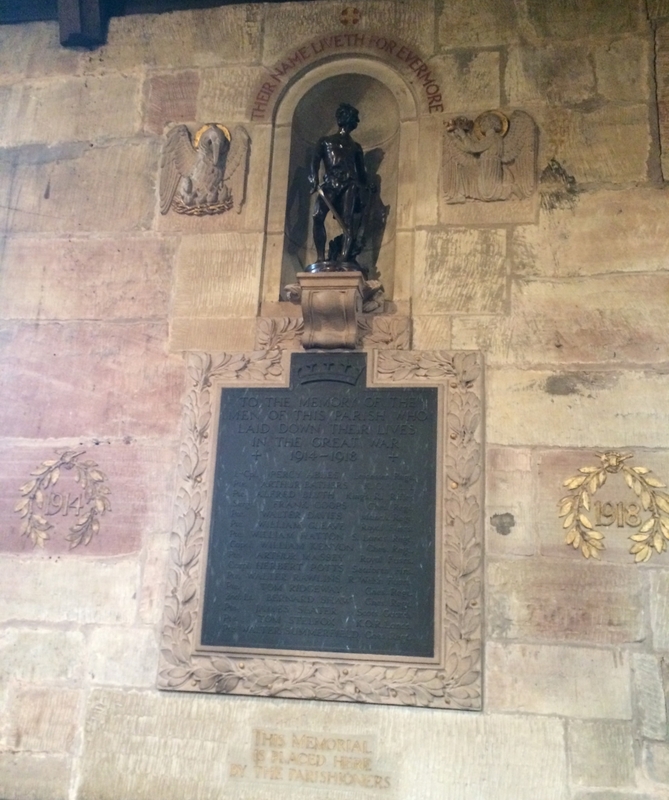 Lord and Lady Sheffield (Stanley) were in attendance and chaired the meeting. 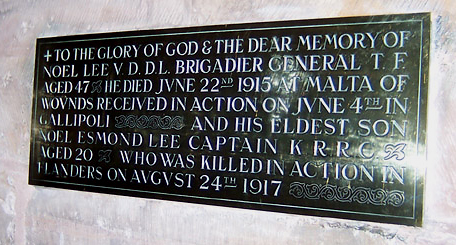 It was felt that something beautiful and lasting should be placed in the Church and therefore a War Memorial Fund was set up. A committee was appointed to consider the matter and collect subscriptions. 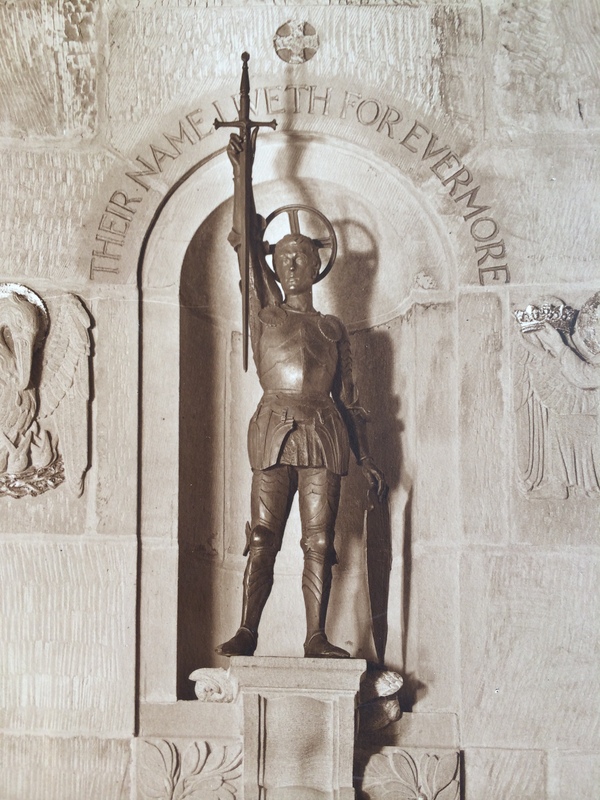 At the vestry meeting in April 1921, Canon Cecil Brooke Welland, Rector of Alderley, apologised to the meeting that progress on the Memorial had been rather slow but things were now beginning to take pace. The subscriptions which amounted to £500, with the promise of more if needed, were used to pay for the Memorial. 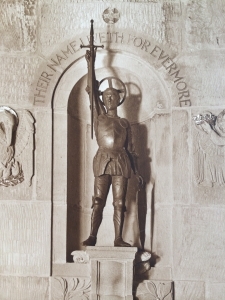 The Memorial was completed and dedicated by the Bishop of Chester on 5th February 1922. Long before the service was due to start the church was full, with additional seating also full. Seats had been reserved for the relatives of those whose names appeared on the memorial. It was announced during the service that in no circumstances were artificial flowers be placed on the ledge under the memorial. If they were found there they would be removed!